Why should college students care about their health care? 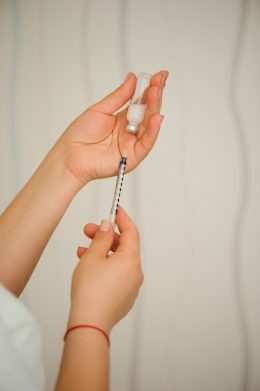 Oleksandr Nagaiets/Shutterstock Some health insurance plans do not cover nonessential or uncommon procedures and medications, such as insulin. There are quite a few things college students can get away with ignoring, from dirty dishes to long overdue homework, but there’s one looming threat the student body should be keeping a closer eye on: their health care. That it’s one of the most boring topics to get into, I’m well aware, but it’s far too important to shrug at in our vulnerable age. As a Type 1 diabetic seeing other diabetics my age die because they can’t afford their fully necessary insulin, understanding my health care is imperative to my survival. You might not need a steady supply of a drug like I do, but when you inevitably become ill or injured, wouldn’t you like the security of knowing you’ll be taken care of? The idea of health care is simple enough: insurance that ensures you receive the medical care you need as you go through life. However, a single Google search will reveal that medical bills are expensive and receiving medical attention is becoming less affordable, even for those with insurance. Americans bear the worst of this burden, forking over more than double the money for equal medical services in other developed countries. This disparity can often be credited to the increasing cost of medications and procedures, higher pay for medical staff and administration costs. Despite paying this premium, Americans have less access to medical care than their peers, with only 2.6 doctors in practice for every 1,000 people. But you’ve got insurance, so no worries, right? Well, health care, as with any good idea, is much more complicated in practice. There are limits and conditions to health care in the United States, and knowing them is essential to paying off exorbitant medical costs. One such condition is that doctors working in a hospital that participates in Medicare are obligated by law to treat you during an emergency, despite your financial standing or insurance plan, though someone still has to foot the bill. Health care, which would pay for this treatment, often comes through your job and covers basic procedures, albeit with a partial payment on your end called a copay. Nonessential or uncommon procedures and medications may not be covered by such plans, and if they are, expect the copay to be higher. A prime example would be the materials I use for testing my glucose levels; something unarguably essential for maintaining diabetic health was declared nonessential by my insurance company and required a petition from my doctor to reverse. Regardless of what they cover, insurance companies charge annual deductibles that must be paid before the plan goes into effect. Most importantly, though health care plans can cover one’s children, there is a cutoff. At the age of 26, you can be forced out of your parents’ insurance, where you would then have to find your own or apply for Medicaid, a government program meant to supplement health-related bills for low-income individuals. The finer details are where the complexities settle in, but how many college students could recount this slim summary of health insurance? Before sitting down to write this article, I didn’t know half the stuff in the last paragraph, and yet my day-to-day life was wholly dependent upon it. Even if you came to Binghamton University without any form of health care, you surely have it now, because the school mandates health insurance for all its students to protect the student body as a whole. It’s not free either, and I think most people would like to know what they’re paying for, complicated or not. The heart of health care is to make medical attention affordable, but it’s not a perfect system. Don’t let that dissuade you from health insurance altogether. Use the time left on your current plan to educate yourself before you lose that safety net in the coming future. The most powerful thing you can do is understand how your health care works so that when it’s time to take up the mantle, you’re more than ready.